A fortnight ago students from fourth year took part in the public access to law course. The course revolved around students learning more about the law and the law in Irish society. Students discussed matters such as what are some of the laws in Ireland, and what are different jobs associated with law. This allowed students to become more knowledgeable about the legal system in Ireland and start thinking about whether or not they would like to pursue a career in law. Students also got to take part in two mock trials, trying out different roles such as witnesses, judges and lawyers. The students who took part in this course are also expecting an exam based on the course in the next few days; this is in order to test how much they learnt. Overall it was a positive experience for all the students who chose to partake in the course and everyone came away a lot more informed about the legal system in Ireland. 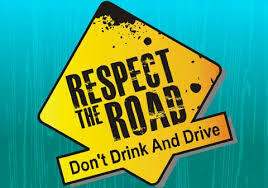 Last Tuesday, 24th of November, the Fourth Years received a talk on Road Safety from a member of an Garda Siochana. The talk was very interesting and provocative as he talked about the harsh reality of not wearing a seat belt, driving too fast and the dangers of drunk driving. The guard also showed us advertisements that highlighted the horrors of drink driving and re-enactments of fatal crashes that have taken place. The Garda talked about one case in particular of a seventeen year old girl called Emma who was thrown from the back of a car as she was not wearing a seat belt. She was slightly intoxicated with a few friends on Valentine's night and her mother told the story of her tragic death. This story was very upsetting to hear about but further emphasised how dangerous being on the road can be. The Garda also had an important message that he asked us keep close to us in order to stay out of fatal crashes and keep the number of lives taken on Irish roads each year. His message was "Nobody has the right to decide if you live or die", "You must always wear a seat belt" and he gave us many other pieces of advice such as avoiding driving when drinking, tired or drugged. It was a moving and thought provoking talk that we would like to thank the Garda and the RSA for providing us with this knowledge and awareness. 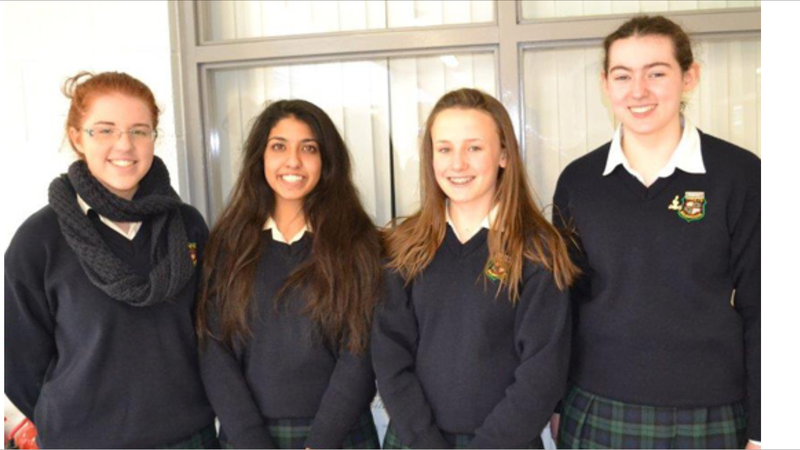 On the 14th of November a group of Loreto girls participated in the Soroptimist competition. 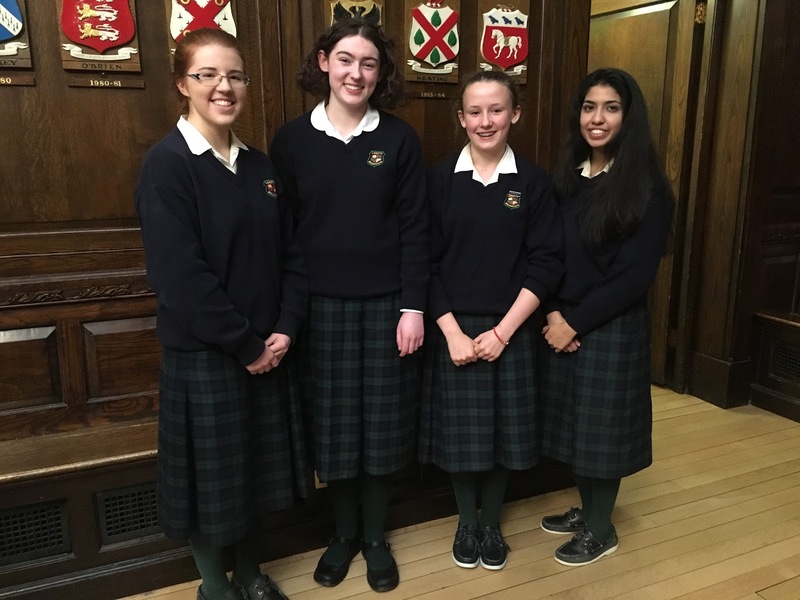 Three of the girls that participated in the competition on behalf of Loreto were Transition Years; Manny Choudhry, Mia Doran and Orla Thompson. The competition took place in the Mansion House. The Soroptimist competition's aim is to inspire action and create opportunities to transform the lives of women and girls through a global network of members and international partnerships. Topics specified for the girls' talks are based on education, environment, economic and social development, health, human rights and the status of women and international goodwill and understanding. The girls had close competition against Castleknock Community College, so well done to everyone for trying their best in the contest. The girls also received a talk from a Dublin city councillor about women in politics and the challenges that she has faced in her career so far due to being a woman. Mia Doran wrote a fantastic speech about friendship and volunteering. She based her talk on Dalai Lama's inspirational quote: "Our prime purpose in life is helping others and if you can't help them at least don't hurt them" and told us how this advice can make a real difference to those around us. 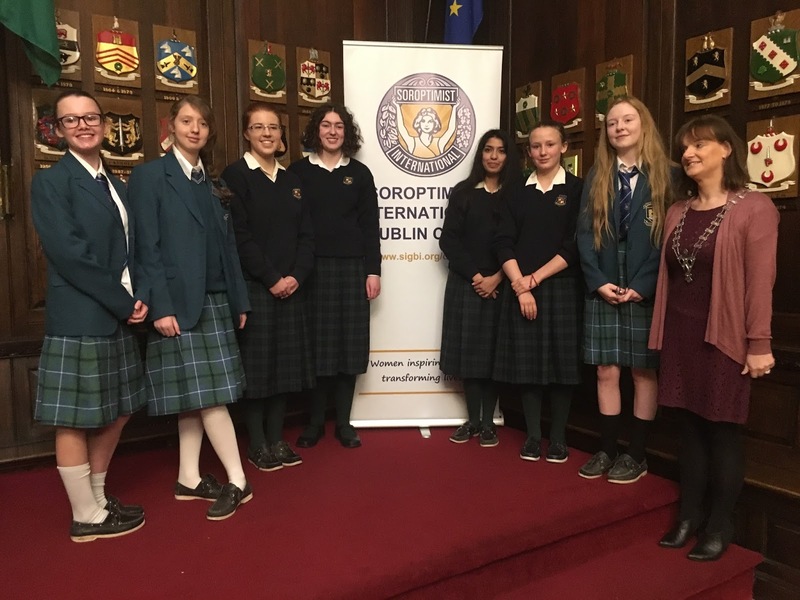 She further emphasised the Dublin city councillor's view, as Mia said that the most popular topic in the public speaking was 'empowering women'. We are glad that this issue is being dealt with more and more and that young girls get the chance to express their opinions easily on this topic through Soroptimist. 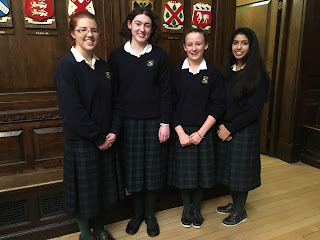 Mia was also impressed by the atmosphere in the historic Oak Room in which the competition was held, as it had all of the coats of arms of the previous lord mayors of Dublin. I heard that the biscuits served were also very good. Once again, well done Mia. Manny Choudhry's speech was based on the topic of 'Health and Environment' with the quote "Building personal resilience: "It is not the strongest of the species that survive, nor the most intelligent that survives. It is the one that is the most adaptable". Her speech was very elegant with her touching upon subjects such as global warming and Pakistan. Manny felt it was a privilege to be able to say her thoughts and feelings on a subject she is passionate about in the Mansion House. She also said that it was the fastest six minutes of her life but it was a wonderful opportunity to have been able to represent Loreto. As Manny won this round she gets to further represent the school. Some of Manny's personal thoughts were "Over all I feel like the competition was amazing, public speaking is a platform where you can express and communicate your thoughts on topics you're passionate about. It was something I won't forget and it has helped me grow as a person and in confidence". Orla Thompson's speech was on the topic of human rights and was based on the given quote by Paulo Choelo "The world is changed by your examples not by your opinions". Orla discussed three main points throughout her speech. She was very passionate and talked about a woman name Eunice Kennedy Shrider who is the founder of the 'Special Olympics' and how Eunice's example changed and is continuing to change the worlds views on people with intellectual disabilities. Orla also talked about Malala Yousafazai and how she is currently changing the world's backwards thinking towards women with her example. Orla ended her amazing speech by talking about how nervous she was getting up to deliver the speech but how she felt it would be her opportunity to set an example to others who may feel the same way. The girls did the school very proud and we would like to congratulate them on behalf of Transition Year.